Het is koud en we zoeken allemaal naar iets dat ons verwarmt. Aangezien het nog wel even duurt totdat het weer lente wordt, gaan we in deze workshop lekker bewegen om onszelf op te warmen. 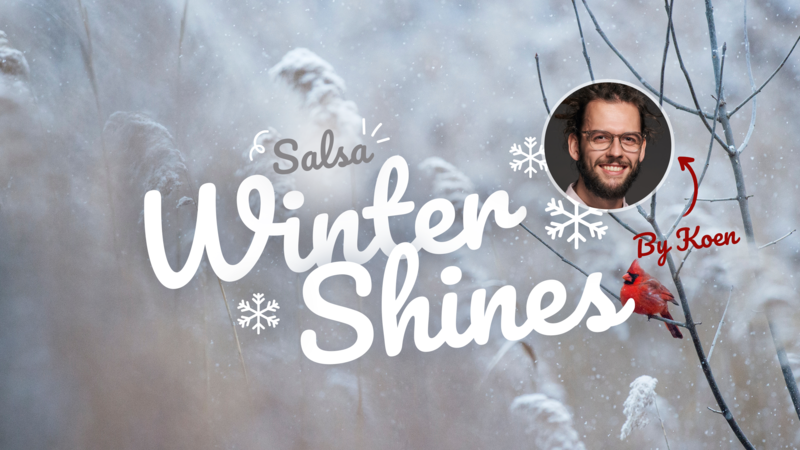 Sterk aan met de shines, vergroot je creativiteit met nieuwe salsamoves en hang in there! It’s cold and most of us are craving some warmth. Since spring is far away, let’s get moving to warm ourselves up. Hang in there with these shines, improve your strength and creative arsenal! Koen started dancing ten years ago, mostly because of the movie Dirty Dancing – Havana Nights. He danced hiphop for two years and classical ballet for one year, but quickly returned to salsa. He loves to travel and to meet new people to develop himself. Laughing is his number one passion! ?